Bluebell, Daisy and Foxglove sit within a private group camp settled in an ancient wildflower meadow, surrounded by idyllic fields and woodland. 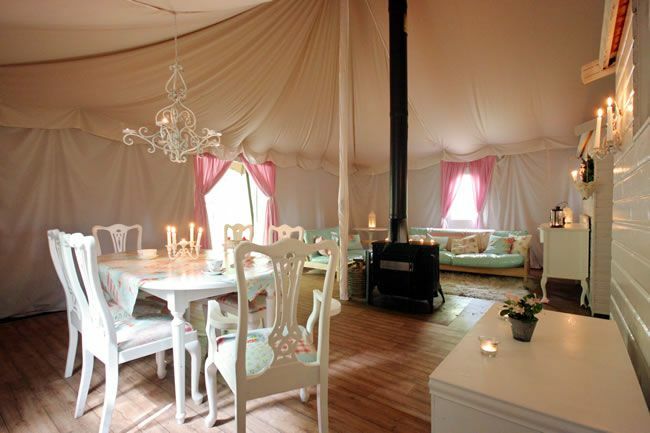 The camp is perfect for a DIY hen party, and the Cotswold countryside is peppered with walking and cycling routes. There’s a whole host of local events for you to enjoy all through the summer, from the Cheltenham Jazz Festival to Gifford’s Circus, or you can simply chill out in your private meadow and have a BBQ and a cold glass of bubbly! Munday’s Meadow sleeps from 12 people with extra space for 6. Prices start at £280 per night. Babes in the Wood is a fun-filled, fully-catered woodland hen weekend with a difference! Based in two locations, hens can choose from The Bromesberrow Estate in the midst of spectacular Malvern countryside, or a great location on the River Dart, The Raleigh Estate in Devon. The hen package includes all meals, Saturday champagne, three different bushcraft activity sessions, covering woodland skills and natural crafts (e.g. making natural lip balm wedding favours) and two trained hosts on hand taking optional yoga and meditation sessions, as well as fireside games. Sleeps up to 10 people. Prices start from from £227 per night. 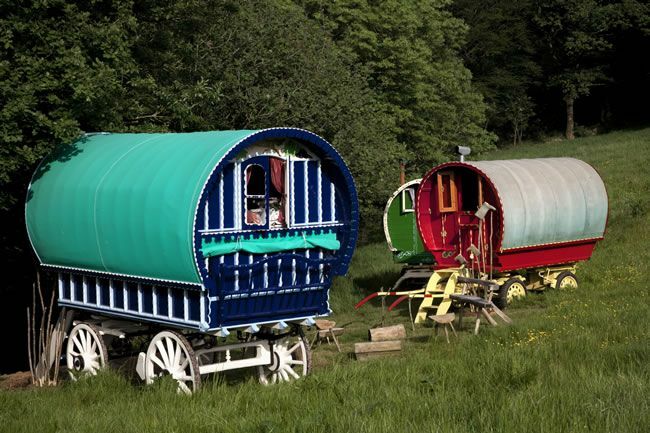 Three lovingly restored Gypsy caravans together make up the Vintage Vardos, a perfect gathering place. For bigger groups, you can also pitch a 3-man tent for £15 per night. Vintage Vardos are within easy reach of wonderful day walks, good pubs, the Tarka Trail cycle path, Exmoor National Park and some of the best beaches in Britain. 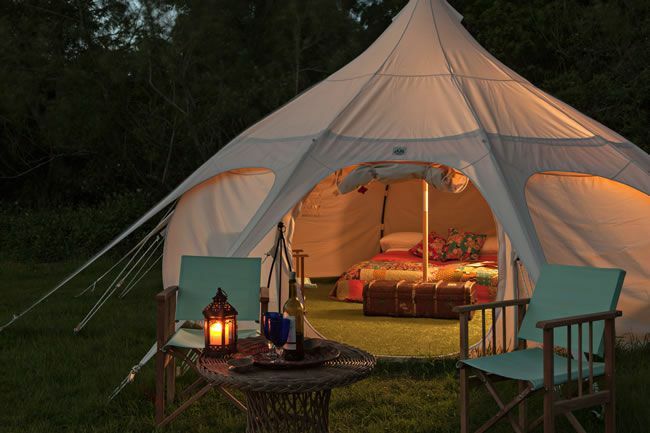 Canopy & Stars also offer fully-catered hen parties here, and a choice of activities including woodland yoga, pilates and Indian head massage. Minimum 6 guests, sleeps up to 10 people. Prices start at £180 per person for two nights. 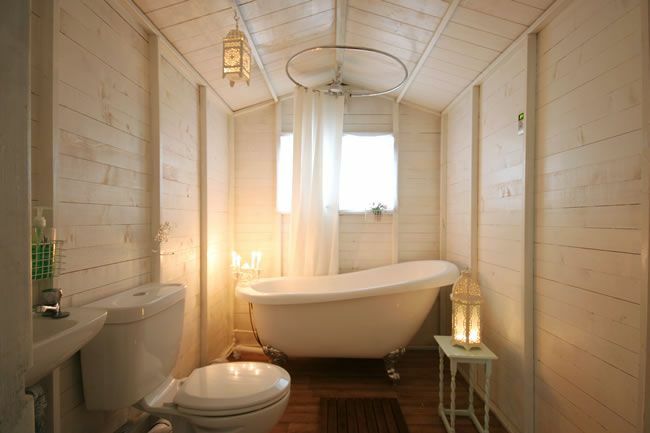 The Hatch houses two charming and informal cabins – The Hatch and The Damson. On the doorstep of both are 35 acres of rolling hills, ancient woodland, orchards, gardens and lake, but there is no shortage of activity at the sites themselves. Wine tasting, floristry and chair-making are just a few of the options on offer, but perhaps the Hatch’s biggest draw is the fully-equipped recording studio! The Hatch Cabin and The Damson Cabin each sleep 6 people. Prices start at £90 per night. With 1800 acres of land to explore, including the deer park and beautiful mixed woodland, Stock Gaylard provides an ideal site for three new Canopy & Stars sites. Hens can get together at the Brickles and Withy Yurt camps that sleep a maximum of 10 each, and even rent out the Sawpit wagon, which sleeps another 2. The local area offers a whole range of activities, from more traditional rural activities like fishing and archery to the less traditional llama trekking and paintballing! Brickles Camp and Withy Bed Camp each sleep up to 10 people. Prices start at £115 per night. 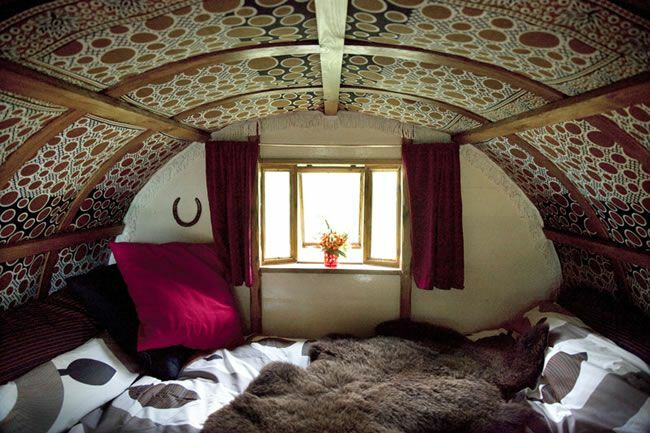 The Sawpit Wagon Camp sleeps 2 people. Prices start at £69 per night. 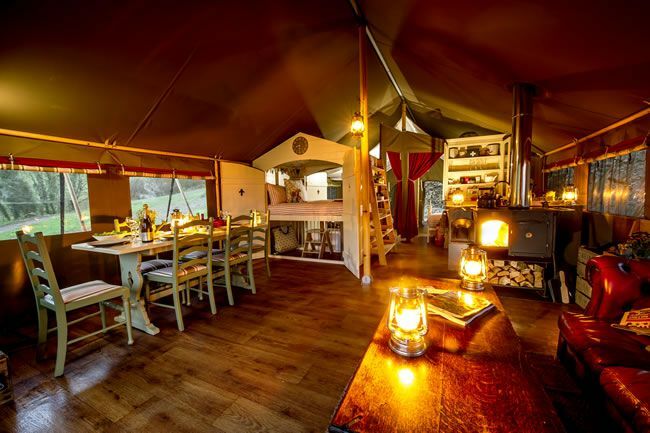 Five impressive safari tents sleeping 6 make up the Longlands estate, but if you ever manage to tear yourself away from the tent and the farm, there are charming coastal villages and towns full of galleries nearby. More outdoorsy types will find surfing, hiking and biking in the area, as well as a boating lake with two row boats for racing round the island! To top it off, you’re living on the edge of the only Dark Sky Reserve in England, so the stars will be out to entertain you. Each lodge sleeps up to 6 people. Prices start from £114 per night. 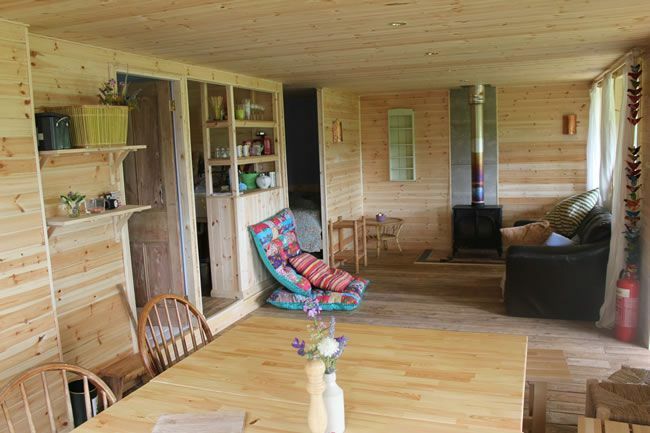 Swallowtail Hill is home to two cottages and two tent cabins, which are surrounded by wildlife on the outside, and contain beautiful craftwork and a cosy wood-burner on the inside. 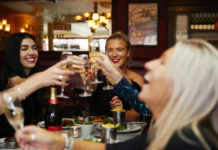 Hosts will happily help organise an active itinerary, from wine tasting at a local vineyard, boat trips and horse riding to a beauty treatment in nearby Rye. If you’re feeling particularly adventurous you can learn to drive a tractor, have an archery lesson and learn bushcraft skills. 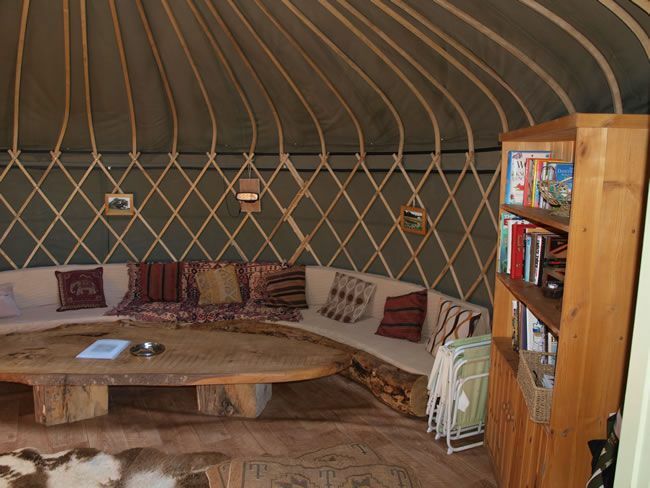 Get back to nature and leave your straighteners behind – this campsite is off-grid! 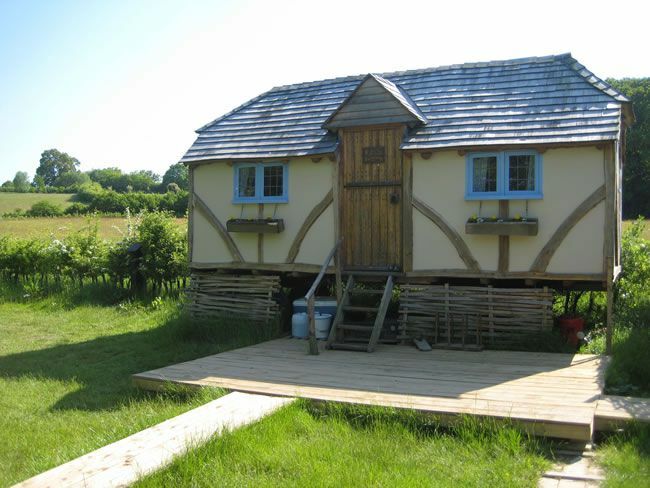 Meadow Keeper’s Cottage and Woodcutter’s Cottage each sleep up to 4 people. Prices start at £100 per night. 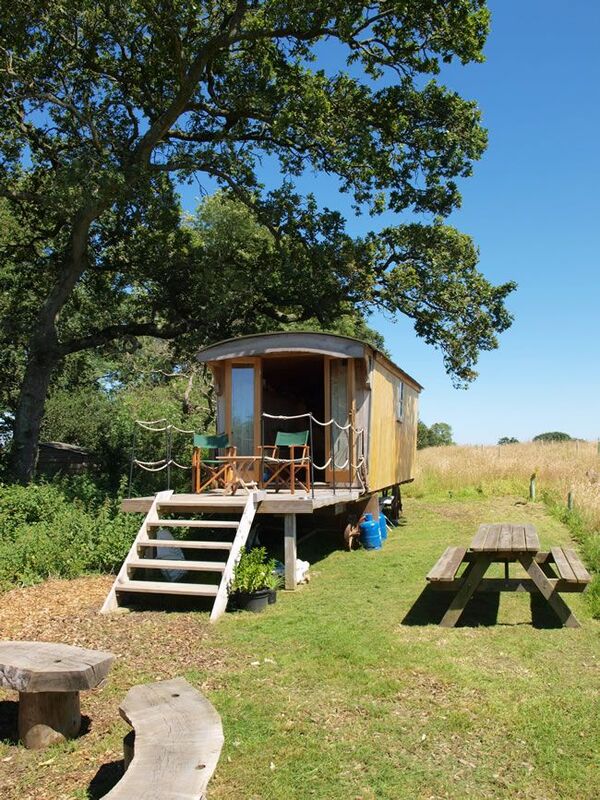 Wood Cabin and Penfold Cabin each sleep up to 4 people. Prices start from £80 per night. Jollydays has been lovingly crafted to combine the natural magic of the woods with more than a hint of class. 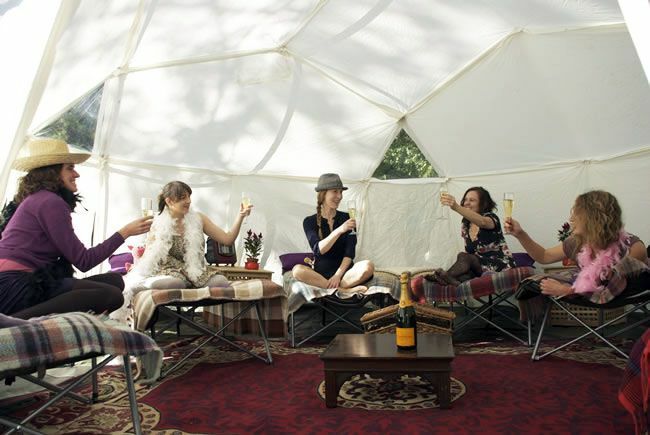 With owners who were top designers and creatives in their former urban life, it’s no surprise that these tent lodges are very special indeed and the perfect spot for a posh hen party. There are courses in bushcraft so you can get your hands dirty, and there’s always something going on to join in with, from basket-making to archery. Active types can get out into the North Yorkshire countryside and ‘Go Ape’ at a forest adventure park, or try some water sports at Allerthorpe Lakeland Park. Quercus, Larix and Abis Lodge Tent each sleep 6 people. Prices start from £82 per night. 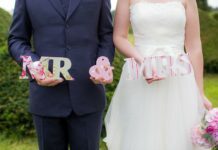 Don’t forget to check out Canopy & Stars for more quirky getaways – they even do wedding packages for a venue you’ll never forget! 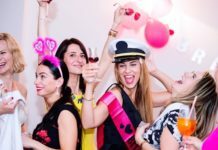 If you’re looking for more hen party ideas, visit our Hen and Stag section!